Wedding Planner or Wedding planning business is the kind of business which requires lots of techniques, dedication, and a lot of hard work. If you are a workaholic person, then you might consider making an entity in this field. Other than that if you get excited whenever you see couples getting married, gives you satisfaction, or considering ways to earn extra money. Or a friend of yours approached you about hosting a wedding on your land and it worked. Or maybe you just like big groups of happy people. Then what are you waiting for? You are a born wedding planner. Here are some ideas for you to get you started. You don’t become famous or get years of experience overnight. So you have to start small. I would highly recommend you intern or shadow an established wedding planner. It will help learn the nuts and bolts of wedding planning world. It is not always glamorous and beautiful as it seems so it is very important you know what you are getting into. As a wedding planner, you must decide whether using an old barn is right for you. Whether you are hosting a small event or a big event, it is essential for you to know how spacious the location is. There are some things that need to put be put into consideration, like, whether there is a parking lot? You would not trouble your guests by not providing a spacious parking area. You should have a beautiful indoor and outdoor space. The entire space should be gorgeous and immaculately maintained for both the ceremony and the reception. Maybe a built-in rain plan might get you extra clients for your next projects. Create your own niche. There are always people who are willing to pay for unique services that are of value to them. Team up with a handful of other wedding professionals who share your same aesthetics and who book the same kind of clients you want to book. You are going to have market your planning. Embrace the social media, create your pages on Facebook, Twitter, Instagram and so and so forth. Make your own blog or website where you can post your successfully went wedding plans. Advertise yourself on yellow pages, in the society or wedding section of your local paper and in special bridal supplements. Educate yourself. 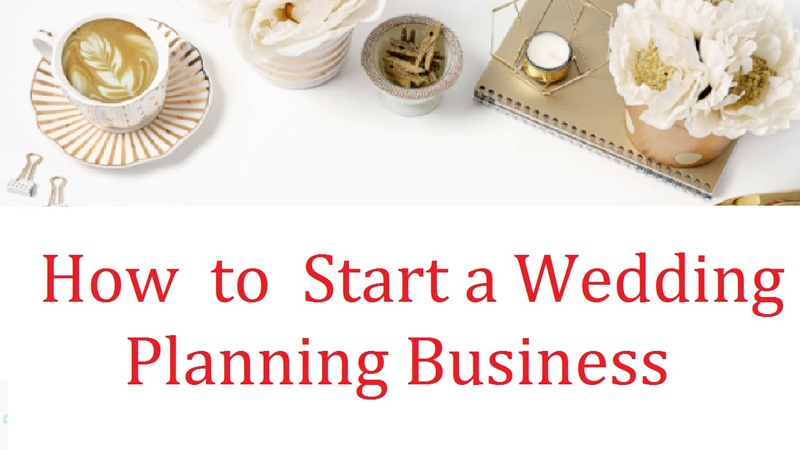 You can take many courses on this, read a lot of blogs of a successful wedding planner. But in this sector, you don’t learn just by reading. Nothing will prepare you the way real event experience will. You might not want to put up a wedding with little or no safety precautions whatsoever. This way you will be you will be at a great loss. Hire a guard, ask your clients if they want to keep alcohol or not if so, for how many hours. They surely would not want to ruin their big day by getting drunk on alcohol. Therefore, If you are planning to be a successful wedding planner go for it. Believe in yourself, stay humble and be gracious. Surround yourself with people who share the same philosophy and work ethic as you. What you are doing, do it passion. Treat you clients with care and patience as if it were your own wedding or special occasion.